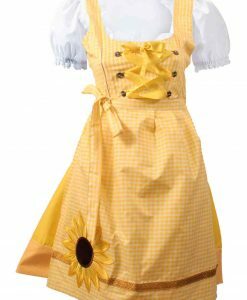 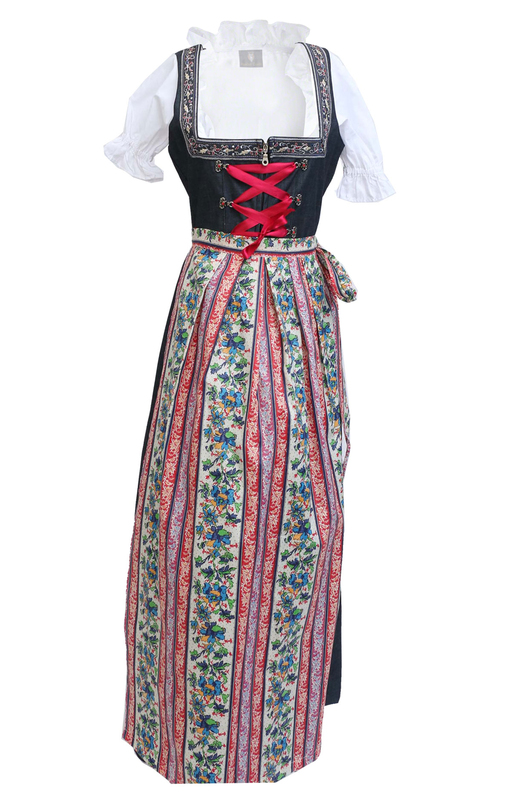 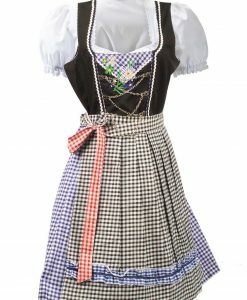 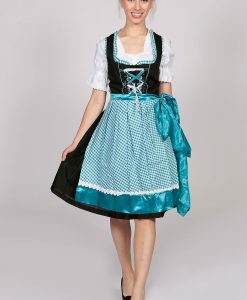 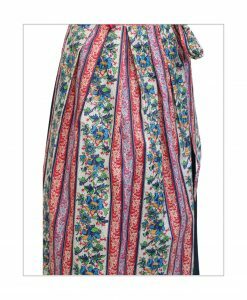 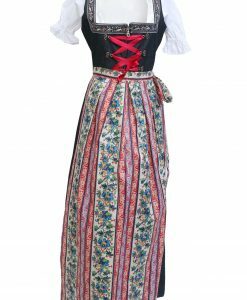 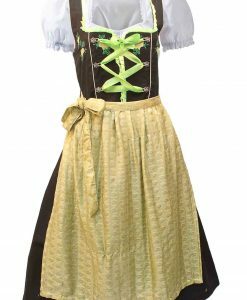 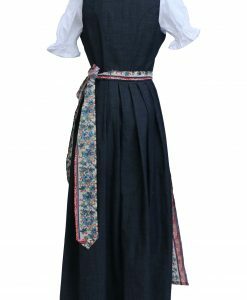 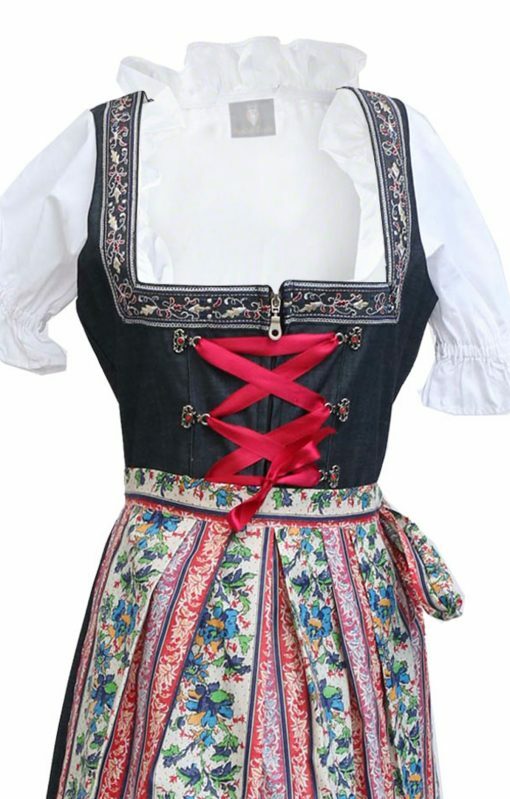 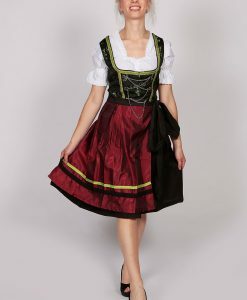 A vintage maxi dirndl dress to add as your Oktoberfest outfit this year! The dress has a deep black bodice. The skirt is cut as an A-lined gown to enhance the dress flare and flow. 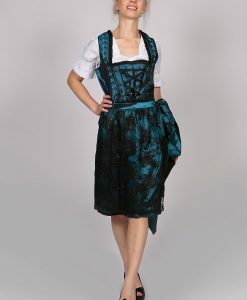 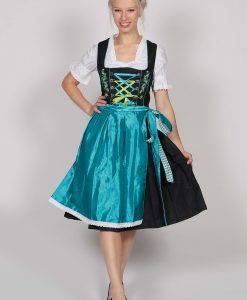 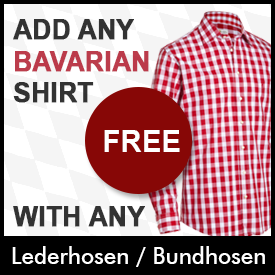 The neckline is deep and squared which will compliment any traditional German dirndl blouse perfectly. 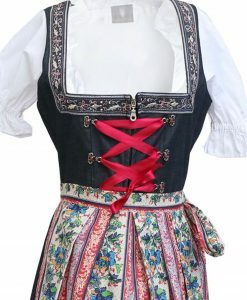 It has a beautiful embroidered border along the neck outline for a vivid look. 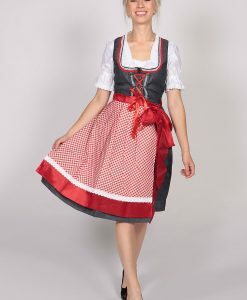 A bright red ribbon is threaded across the chest area that can be tightened according to your size. 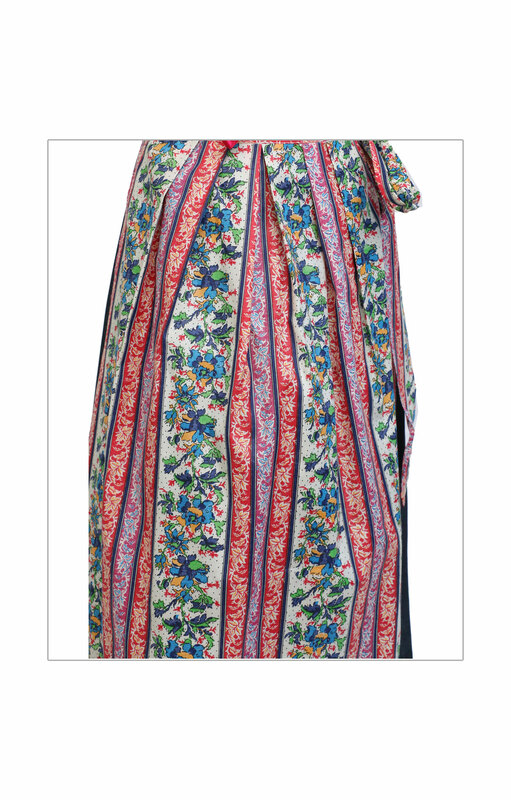 This long maxi dress has a length that goes down the knees to the ankles. 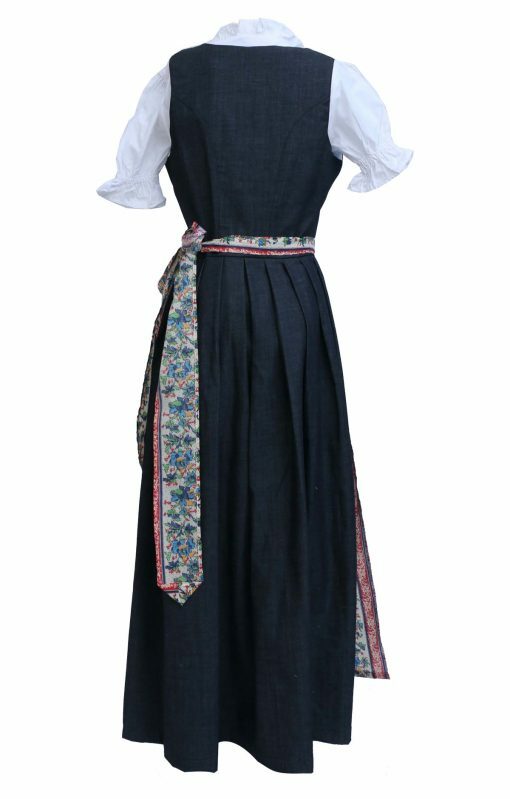 Buy this dress with a free multi colored red based apron.